Before we discuss GroupWise to Office 365 migration, let us talk a bit about the two platforms. GroupWise is an email messaging platform which performs several functions. It supports emails, calendars, instant messaging, document management and much more. It is compatible with Linux, Mac OS X, as well as Windows. Office 365 is on the other hand a subscription based migration tool which has got several benefits over the former. In this migration task, Shoviv GroupWise to Office 365 migration tool is a safe, efficient and fast tool with reliable features that you can completely trust. Let us first begin with the reasons why GroupWise to Office 365 migration is carried out. There may be many reasons, but people usually go for GroupWise to Office 365 migration due to three reasons- Office 365 contains multiple applications, provides access to mailbox data and does not require investment. So it is only wise to carry GroupWise to Office 365 migration. Using the Shoviv GroupWise to Office 365 migration tool will make the process much easier as well as safe. This tool has compatibility with all versions of MS Outlook, Windows OS and Novell GroupWise. The major benefit of using this tool for GroupWise to Office 365 migration is that it is quite comfortable to work with even if you are not skilled in the process. Not to mention, it is quite fast as well and saves a lot of valuable time of the client. The user needs to have Office 365 user credentials to fetch all Office 365 mailboxes. This GroupWise to Office 365 migration tool ensures that Office 365 mailboxes have full access rights of selected Office 365 Global Admin user. This helps to perform the task smoothly. Using this feature one can map the source of GroupWise mailboxes to target Office 365 mailboxes. One has the freedom to do this either automatically or manually. Besides, one can also migrate from GroupWise mailbox to Office 365 public folders. Mapping folders are also convenient while migrating from GroupWise to PST and Office 365. This feature is especially helpful to the user who needs to change his/her name and location of source/target folder. It is convenient, quick, and smart. Using this GroupWise to Office 365 migration tool one can establish connection with GroupWise in various ways. One can add GroupWise mailboxes using default, online mode, include proxy, Cache mailbox path. You can choose whichever connectivity path you prefer to carry GroupWise to Office 365 migration. Using this GroupWise to Office 365 migration tool you can export single or multiple GroupWise mailboxes into Outlook PST at once. The client can also create Unicode and non-Unicode PST files during the process of GroupWise export. One is also granted the freedom to save the data in the EML and MSG formats. This tool filters all items without limitation. This GroupWise to Office 365 migration tool would not be restricted by the size of the PST files in its task. In fact, it goes on to split the files into multiple small PST files. This does not affect the content of the files and the user can remain carefree about their safety. Needless to say, it is an excellent way of managing data. Also, it splits the files once it has reached the designated file size set by Outlook. 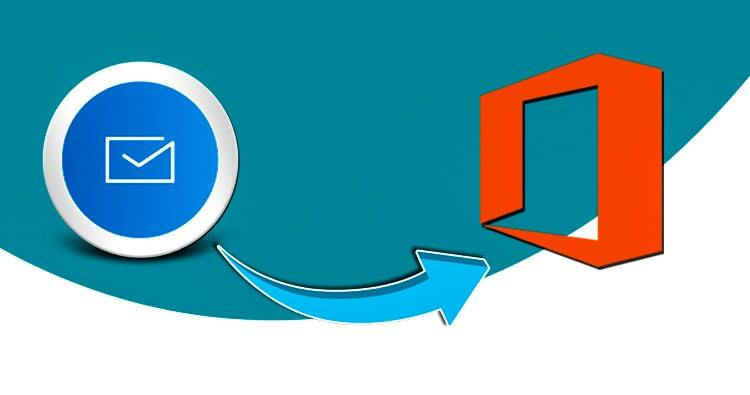 For users who are carrying Outlook profile Office 365 or having other IMAP/POP Account, the software helps to migrate from GroupWise single or multiple mailbox data the email client the user chooses. This process is not time consuming at all and the user can also migrate into public folder. The final location of the data can be archive mailboxes as well. Note: You can check our another post to migrate GroupWise to Exchange. Before you finalize the process of GroupWise to Office 365 migration, this tool would let you preview items. It would not only let you view your data but its components deeply before the actual process. This facility is quite helpful since it lets the user cross-check the contents and be carefree about the accuracy of the data content. So use this feature to get a display of the data going for conversion and be content about the accuracy. Anywhere in the process of GroupWise to Office 365 migration, you can use the data filter option. It would let you filter the data you want on the basis of data range and item type during the export and migration task. So you can filter and separate items according to your need with this GroupWise to Office 365 migration tool in an instant. So you can easily filter out the data instantly without wasting time and energy. Even we want you to invest your money smartly when going for GroupWise to Office 365 migration which is why we provide a free trial version. It lets you test all these features free of cost. In addition to all these facilities, you also get 24*7 free technical support. You can contact us via live chat and emails anytime you want and get quick response. So choose wisely and carry your GroupWise to Office 365 migration without the complications and with guaranteed comfort. To download the free demo version of the tool, click here.